NOTE: This class has ended. The next class will be announced in the WordPress User Group Newsletter. This class series is all about using WordPress on a “Self-Hosted” installation. 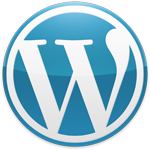 That means WordPress is installed to your own hosting account (as opposed to using wordpress.com). We are starting from the beginning and working through all the important steps. You don’t need to have a WordPress site before the class starts, in fact, it’s better to get through the first class before launching your site.